Rosé is much more than just a wine—it's a lifestyle. A year-long vibe that represents fun, happiness and good times. This holiday gifting season, don’t forget the best wine of all as inspiration for all of your loved ones. Whether you need a stocking stuffer for a foodie or a splurge-worthy gift for your jet-set pal, let Rosé be your inspiration! What could be a better gift than the gift of Rosé itself! A bottle (or a case to share!) of pink makes an absolutely divine gift for a loved one or host. Amid all the heavy winter food, Rosé is a magical festive color that can brighten up any table or bar cart. Plus, it looks absolutely gorgeous with a big holiday bow around it. The best gift to give—or get—year-round. 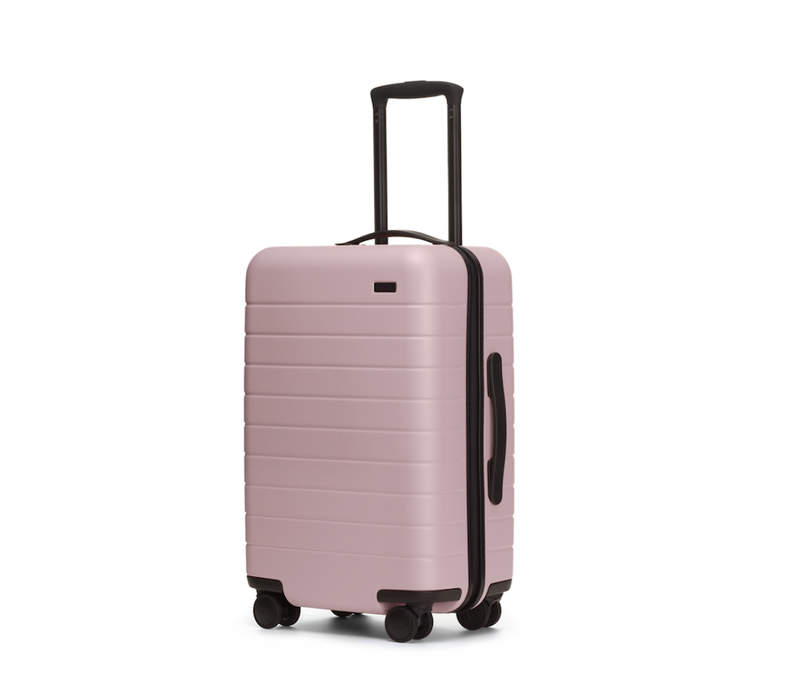 The pink away suitcase is the must-have piece of luggage du jour. The perfect carry-on for all your chic getaways. Best of all, the suitcase is unbreakable, thoughtfully designed, and guaranteed for life. Snap it up in the Rosé-inspired color and you’ll always be smiling when you start to pack! The perfect sweet treat stocking stuffer for the Rosé lover in your life. 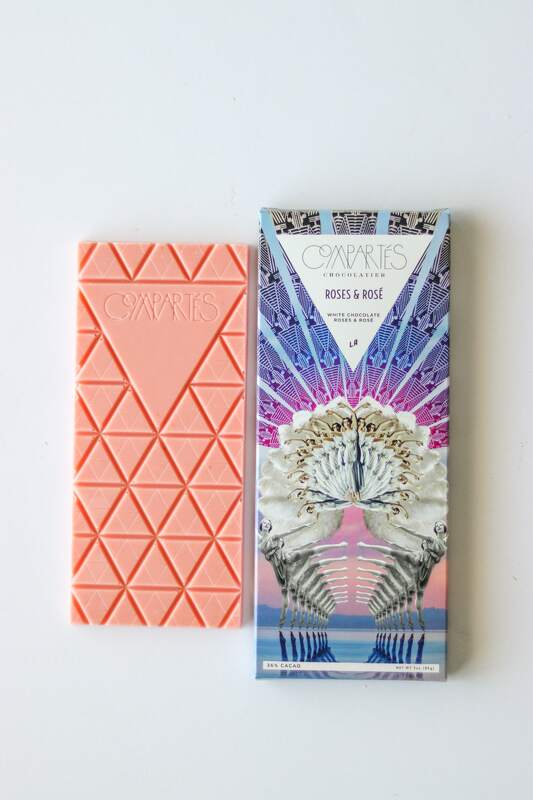 Compartés Rosé pink white chocolate bar infused with actual rosé wine. The Rosé bar features French Rosé wine blended into their signature white chocolate, tinted pink and sprinkled with crystallized rose petals. 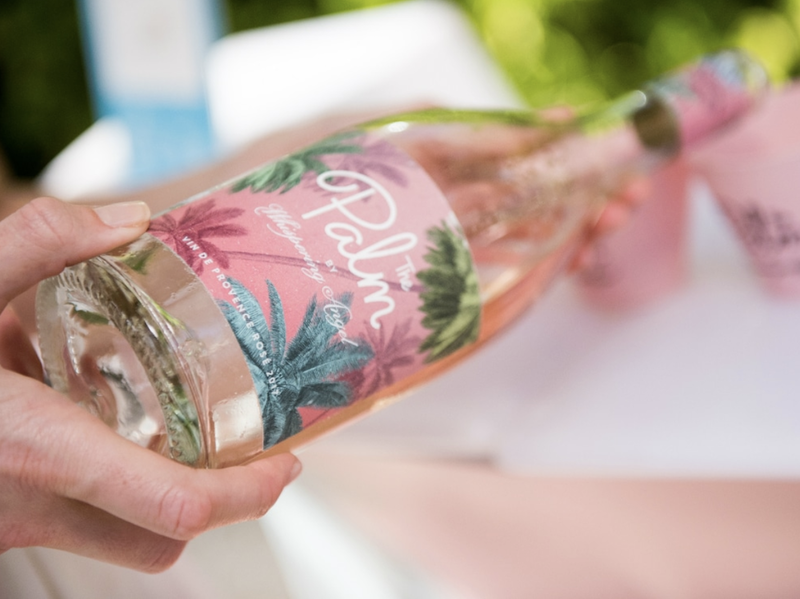 It's always Rosé season, so sit back, pour a glass, and take a bite of the sweetest new sensation of the year. Handmade in Compartés' Los Angeles chocolate kitchens. Lele Sadoughi’s cult headbands are undoubtedly the must-have accessory for the season. The luxurious fuchsia velvet hand knotted comfort fit headband is embellished with crystals in 14k gold plated bezel settings. It’s the perfect accessory for the holiday season, in the most Rosé-loving color! This exclusive kit is designed in the signature MZ Wallace quilted Oxford Nylon, an extremely lightweight, durable and water-resistant fabric, and customized for the collaboration in an exclusive new shape and color. The kit features tenoverten’s nail care essentials, including The Foundation, The Shield, The Rose Oil, and Non-Acetone Rose Polish Remover, that have been carefully formulated to promote strong, healthy nails, without the use of any harmful ingredients. Avocado’s mission is to ignite women in being authentic and expressing their uniqueness by creating clothing that allows the wearer to embody their motto, “as you are.” Avocado is designed to highlight, feature, and follow curves. Using the technology of the circular knitting machines, the team at Avocado has innovated beautiful creations by using different combinations of yarns, new and fresh dye treatments, and original stitches. The Rose Milk Shredded set is perfect for the Rosé-loving Yogi in your life.